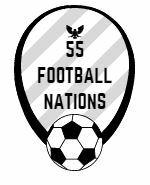 55 Football Nations is a project that has always fuelled my imagination. It has also piqued media interest in many football loving lands. 55FN has been covered over 80 times in print, on radio and television in 45 countries including The Guardian, BBC Football Focus, BT Sport, GQ magazine, Lonely Planet, La Gazzetta dello Sport, Rai 2, L’Équipe and Radio MARCA. Norwegian newspaper, BA, were the first to report the story from a Brann Bergen training session. The Gothenburg Post also featured an interview to accompany the preview of BK Häcken v Hammarby in Sweden. Häcken were the first club to present 55FN with a scarf. They won 2-0! Paul Doyle, chief football writer of The Guardian, wrote a cracking little piece based on an hour long conversation about 55FN. This sparked hundreds of positive messages (thanks for them all!) from football lovers around the world. It also overshadowed the moody photoshoot and report published by Ålandstidningen in Finland on the same day. The Guardian is clearly read by Estonian newspaper Õhtuleht who instantly got in touch and interviewed 55FN straight off the overnight ferry. Their report was worth it. 55FN has also been on the wireless. UK radio station talkSPORT featured a short interview live from Kazakhstan, 16 minutes into their Hawksbee and Jacobs show. A longer interview with Ålands Radio and TV in Finland was translated into Swedish. BBC Radio Suffolk and BBC Radio Foyle also interviewed 55FN over the summer. The Guardian article led to a worldwide media snowball. Easily the best interpretation was from Brazilian football website Trivela, where Leandro Stein added careful research to familiar quotes. It also caused a mistral in France through pop entertainment website Konbini and featured in Hong Kong, Indonesia, Macedonia and Portugal, where a dried fruit trader from the Green Market in Almaty, Kazakhstan, found rather unexpected fame. 55FN grew up watching James Richardson perusing the Italian sports pages with an improbable cake on Gazzetta Football Italia. Sportweek, the Saturday supplement of La Gazzetta dello Sport, published an unlikely 55FN article as a preview to Vitebsk v Krumkachy in Belarus. A pity I couldn’t join Usain Bolt on the cover! The Irish also took a liking to 55FN. South of the border, the Irish Times penned a pretty nice article stemming from my chat with journalist Mary Hannigan. The Belfast Telegraph were also inspired to write a rather error-strewn preview to Glentoran v Carrick Rangers and 55FN’s thoughts on the game afterwards. 55FN has always been a futebol culto and was profiled in the September edition of GQ magazine in Portugal. Eastern interest included some entertaining photos from Trabzon in Karadeniz’ de Sonnokta, a mild rant at the Kazakhstan Football Federation and a first appearance in Cyrillic in Bulgaria’s Meridian Match. Interviews were published by Serbian website Mondo, Ukrainian site Futbol 24 and Chornomorets Odessa. Belgian newspaper Le Soir previewed my autumn visit to Ghent. 55FN was also interviewed by Romanian television channel PRO TV at the Petrolul club museum in Ploiești. An ‘exclusiv’ headlined Romanian sports website Gazeta Sporturilor and a misquote about a goat followed in Russia and Moldova, Sports Moldova following with a second article claiming 55FN had been crowd counting in Chişinău. And Albanian newspaper Sport Ekspres included my views on a tedious nil nil. Lonely Planet focussed on the travel experiences as much as the football in an interview published on their ‘Travel tips & articles’ page. Iconic French sports magazine L’Équipe featured my tips on the best football experiences. And Danish weekly Tipsbladet published a two page interview to cap my Scandinavian sortie. 55FN hit the screens in December 2017. Football Focus on BBC One interviewed me live from AFC Bournemouth. Pundit Mark Lawrenson was particularly interested in the logistics of 55FN. BT Sport compiled a cracking feature from snowy Dingwall. Polish television channel Canal+ Sport put together a short feature before the explosive Kraków derby. Sport Nation used some of the lost video diaries to build the travel element into the 55FN story. And these were used again by Italian TV as Quelli che … il Calcio featured my travels from Sicily to Crotone v Atalanta. 55FN was featured twice in Israel. Indie website Babagol kept football writing real with the revelation that I’m hiding from the European winter around the Med. Mainstream Walla! led on horse eating in Kazakhstan for perhaps the first time in Hebrew. The Med kept giving with 55FN pictured with Doxa midfielder Vasilis Papafotis in the Cyprus Mail and likened to Peter Crouch in The Malta Independent on Sunday. Klan Kosovo TV were a bit slow. I visited Kosovo in November. But they seamlessly fused selfie videos shot at my Siracusa hotel with familiar footage. And Belgian newspaper La Dernière Heure kept to their name. A double page feature months after my visit had a natty list of all 55FN games. Radio MARCA delayed 55FN to focus on Neymar and Ronaldo injuries. Fortunately, the interview – dubbed into Spanish – is available on catch up. A short interview with Football Gibraltar was recorded between my second and third matches in the British Overseas Territory. I offered my views on football in Gibraltar and tips on how to plan such a football adventure. The Greeks and Sport FM website were also slow to the party. Portuguese sports newspaper Record compiled an excellent four page feature which included a special mention for Luis Boa Morte. And a terrific map plotting my first game in each football nation. 55FN reached Alpine heights in Switzerland where German language Tagblatt and French language Le Temps published 55FN articles on the same day. Articles in Senf and Zwölf followed to complete a Swiss hack four. Austrian website Wettbasis also included a 55FN Q&A. Slovak-Hungarian website Ujszo used my devil selfie from Trnava. And French site thefanbnb hosted 55FN on his visit to Montpellier v Guingamp in February. The final 55FN leg in the Balkans started with a 51/55 sign and a Slovenian flag at Ljubljana airport. Slovenian television voiced my thoughts on the local food and wine. Hungarian tabloid Blikk featured the now very messy 55FN map, Croatian daily 24sata revealed I was only in Zagreb because it was between Budapest to Pula and Bosnian paper Avaz took some moody photos at the top of the tallest building in the former Yugoslavia. And my final match in Montenegro was extensively covered by Dnevne Novine and national television. Emerging football travel guide Libero included an interview with 55FN from a prog rock pub on the Buda side of the Hungarian capital. 55FN has also been featured in matchday programmes at Fulham, Ipswich Town, Glentoran, Harrow Borough and local non-league team Dulwich Hamlet. Writers also took up the story in California and Italy.